For Many Webapps in Java 8 We Need JDK 8 & Apache Maven. 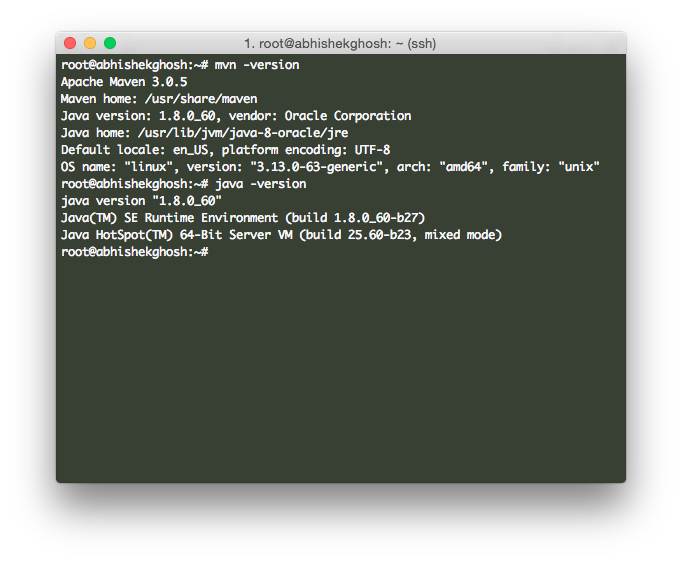 Here is How to Install JDK 8 and Maven 3 on Ubuntu 14.04 Running on HP Cloud. We can install this combination on any server running PHP5-FPM and Nginx without any issue, with or without virtual host on Nginx. We are showing the working and tested method on the date of publication for Ubuntu 14.04 LTS server distribution supplied by HP Cloud. Your hosting company may use a differently compiled version of Ubuntu 14.04 optimized for their setup. Commands will be the same and working, yet be careful if the hosting is different than ours. If you want to remove later, only remove the packages – DO NOT remove the dependencies if Nginx and PHP5-FPM is serving a live website on the same server. This Article Has Been Shared 2554 Times! Cite this article as: Abhishek Ghosh, "Install JDK 8 and Maven 3 on Ubuntu 14.04 (HP Cloud)," in The Customize Windows, September 23, 2015, April 23, 2019, https://thecustomizewindows.com/2015/09/install-jdk-8-and-maven-3-on-ubuntu-14-04-hp-cloud/.